Partner Paul Rumley considers the new guidance from the Royal College of Surgeons setting out good practice and standards in relation to taking consent from patients before surgical treatment, which were produced following the significant change in the law in this area in 2015. The 2015 case of Montgomery fundamentally changed the practice of taking consent from patients in relation to proposed medical treatment – meaning that the focus of the discussion now has to be tailored to the needs of each individual patient. The Court decision, it is fair to say, took the medical profession by surprise, and therefore the recent new guidance issued by the Royal College of Surgeons (RCS) – ‘Consent: Supported Decision-making A Guide to Good Practice, RCS Professional and Clinical Standards November 2016’ – is particularly welcome. Everyone has a fundamental legal right to decide what happens to their bodies. Even touching another person without permission is assault, so a patient’s consent is a necessary step before starting any treatment or investigations. It is also important that the consent is valid, namely that the person understood the information they were being provided with and therefore voluntarily gave consent. What is the importance of the Montgomery decision? One of the most important aspects of giving valid consent, is that the individual patient understands the various risks of what they are being asked to consent to. Before the case of Montgomery, the law supported in essence doctors deciding what risks we should be told about in gaining consent. This therefore allowed doctors not to tell people about each and every risk of a course of treatment, but instead only to tell them about what the doctor believed were the material or significant risks that they should know about. 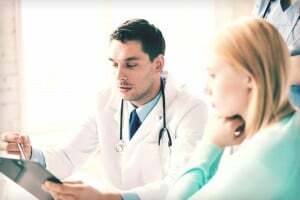 However, the Montgomery case clarified the law and shifted the focus of obtaining consent towards the specific needs of the patient, that is less of doctors deciding what patients should know and more of doctors telling patients what they believe would be important to that person to know. This means that doctors no longer get to decide what patients are and are not told, instead they have to take a patient-centred approach to talking about consent. Doctors therefore need to have much more detailed discussions with their patients before obtaining consent, in order to understand what each particular patient might think is a significant risk which they need to be informed of, i.e. the question now is what risks would the particular patient think were significant? It is clear that the very fundamental change in approach to consent signalled by the Montgomery decision, has been heard by the medical profession and is reflected in the very important and detailed guidance issued by the RCS in November 2016. The guidance also applies to dental surgeons. There should be a signed consent form at the end of the discussion with a patient – very importantly the guidance indicates that existence of a signed consent form is not of itself enough, because it provides no real information about the quality of the discussion leading up to the giving of consent. Therefore, in addition to the consent form a record of the discussion should be included in the patient’s case notes – in fact this simply reflects the importance of accurate medical records in respect of healthcare issues in any event and I have written about the importance of this previously. It used to be the case that doctors could avoid discussing risks, if they felt that might cause the patient harm which outweighed the benefits of informing them of that. It is clear from the case law in this guidance that such an exception should be used only in very rare situations, and the reasons for not discussing the risks should be clearly documented as well. The guidance makes it very clear that taking consent from patients will now be a much more detailed and in-depth process. It therefore suggests that the doctor discussing the treatment should be suitably trained and qualified not only to provide the treatment in question but also to have sufficient knowledge of the associated risks and complications and alternative treatments available for the condition so that the fully informed discussion can be had with each patient. The guidance recognises that sometimes there can be lack of clarity about whose responsibility it is to take consent from a patient, if they are being transferred between different specialities. The guidance makes it clear that the referring doctor should carry out the first part of the consent discussion and document it because in that way they can set out the risks and benefits of the proposed treatment options and any alternatives including doing nothing at all, and to discuss these with the patients prior to the referral. The final confirmation of consent will then be the responsibility of the doctor who is going to carry out the treatment. There is also a suggestion in the guidance, which seems very sensible, that the record of the discussion leading up to the giving of consent should be provided to the patients themselves and their GP in the form of a letter. That would certainly guard against any later misunderstandings about the discussion, and the consent given. Most importantly, if the patient cannot decide which of various treatment options to pursue, then they should be given time to consider that and the discussion about consent should resume at a later date. It has always been important for patients to question doctors about treatment options. However, what the Montgomery case does is to reassert the paramount rights of individual patients to be informed of all of the risks which they would feel it was important for them to know, in order to make a fully informed decision as to whether or not to give consent to medical treatment. Giving or withholding valid consent to medical treatment is no formality – it is fundamental that people are able to make fully informed decisions about that. To that extent, the decision in Montgomery which is reflected in the RCS guidance is extremely welcome news for patient autonomy. My colleagues and I represent patients who have suffered injury as a result of negligent medical treatment, which includes cases where it is alleged that a patient was not given appropriate information to enable them to give proper consent to proposed treatment, and they have then suffered injury due a complication of that treatment. We continue to see cases where the standards in Montgomery in respect of taking patient consent has not been applied, but as new guidance is produced by the medical profession, such as that recently published by the RCS, in theory the number of such cases should reduce, and I will continue to follow this area with interest.